Workforce Architects is a partnership of highly experienced and client-focused organizational consultants who specialize in the area of talent development. Our backgrounds encompass business and human resources fields and include significant experience working with domestic and global programs and leaders. Our combined experience includes working with a wide variety of professions at all workforce levels. At Workforce Architects we provide both integrated and stand-alone services which: develop bench strength, close critical leadership gaps, and increase employee engagement and contribution. We work with clients to design and deliver practical and innovative talent solutions tailored to their specific needs. We have experience working with a wide variety of industries and professionals at all levels of the workforce. Kim Lang, SPHR, is a Talent Management consultant with extensive experience in designing/facilitating talent development programs and processes. Her expertise includes coaching/mentoring, retention strategies, career management, leadership development, and building diverse bench strength. She specializes in developing innovative solutions that align employee development with business strategies and results. 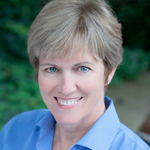 Kim has senior level HR and OD experience in a variety of industries, is past President of SHRM Atlanta, and a frequent speaker at conferences and professional organizations. 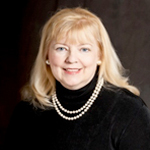 Anne Morgan is a Senior Partner with Workforce Architects and specializes in the area of talent management. Her varied career includes coaching from C-Suite to individual contributors, change management, leadership development and career management. Anne has a diverse consulting background working within utilities, media, high tech, engineering, finance, telecommunications, and healthcare. She customizes learning and development to both individuals and groups. Anne is a dynamic facilitator engaging participants through applied learning experiences in diverse business environments. She also has an extensive background in financial services working with leading global financial firms. Sherry Shaver, MS, is a highly experienced consultant who has facilitated, trained, and coached hundreds of individuals in the areas of career management, leadership development, and personal effectiveness. She has worked with professionals at all levels from individual contributors up to senior executives. She is a results-oriented facilitator and coach who has a talent for motivating clients to achieve both personal and organizational objectives. 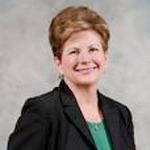 Sherry also spent 15+ years in Human Resources managing learning organizations in a variety of industries. Douglas Kamp, MS I/O Psychology, is highly regarded in the field of leadership development and organizational effectiveness, having worked with numerous organizations and hundreds of management groups across a full suite of leadership and organizational topics. He is also recognized as an experienced coach who has worked with many senior leaders and key performers over the years. Douglas has the advantage of extensive leadership experience coupled with formal education and training in the foundations of coaching and consulting. 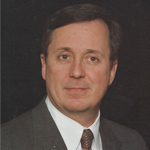 Prior to his current career, Douglas spent over 25 years leading human resource functions at various levels including division and corporate. He has experience with start-up companies as well as domestic and international organizations. 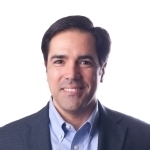 Guillermo Villar, MBA, is an ICF-credentialed executive coach with a diverse professional background that spans engineering, corporate real estate, and music. He specializes in helping individuals and teams become more effective at the work they do by improving the way they communicate. Guillermo is a dynamic facilitator and speaker who engages his audience and makes sure they get value from every program he delivers. Having attended American schools in Puerto Rico and Venezuela during his childhood, Guillermo speaks fluent Spanish. He has worked in a variety of settings, from Fortune 100 companies to the federal government, and has been involved in entrepreneurial start-ups. Joan Cunningham is a senior administrative professional with over 20 years of progressive experience in administration and support. Her expertise includes project planning and coordination, client and vendor relations, computer graphics and design, marketing/sales support and materials design and production. Joan is a results-oriented and task focused project coordinator and a creative design specialist.